San Diego State’s Jordan Verdon delivered a one-out, bases-loaded sacrifice fly to score Jacob Maekawa for a 4-3 victory over UNLV in the 12th inning Friday of the Mountain West tournament. 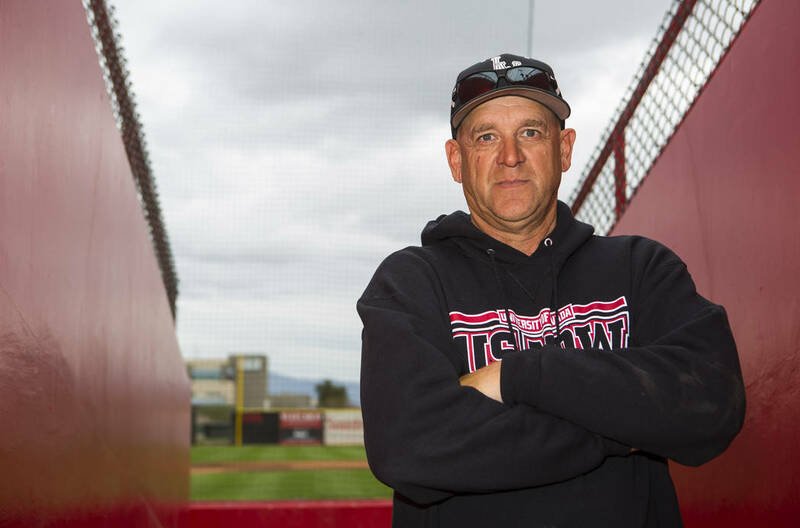 UNLV had to claw its way into the Mountain West baseball tournament, but once the Rebels arrived in San Diego, they didn’t want to leave. One day after beating state rival and conference regular-season champion UNR, the Rebels took San Diego State into extra innings Friday night at the Aztecs’ Tony Gwynn Stadium. The Aztecs, though, had the final say. Jordan Verdon delivered a one-out, bases-loaded sacrifice fly to left field to score Jacob Maekawa for a 4-3 victory in the 12th inning. “I couldn’t be more proud of how hard we fought,” Rebels coach Stan Stolte said. UNLV catcher Seth Mullis threw his mask after the final play and was ejected, meaning he must sit out Saturday’s 1:30 p.m. elimination game between UNLV (34-23) and San Jose State (27-29). The winner plays San Diego State (38-19) at 6 p.m. If the Aztecs win, they take the tournament championship and automatic bid to an NCAA regional. If they lose, a winner-take-all game will be at 1 p.m. Sunday. UNLV and San Diego State each scored three runs in the third inning before the bats went quiet for both sides. UNLV right-hander Trevor Horn pitched eight innings and allowed nine hits, but only four after the third. Closer Bryan Menendez relieved Horn in the ninth and took the Rebels into the 12th inning, allowing one hit in 3 2/3 innings. San Diego State pitchers retired 17 in a row at one point. San Jose State (27-29) vs. UNLV (34-23), 1:30 p.m.
San Diego State (38-19) vs. SJSU-UNLV winner, 6 p.m. If necessary game for championship, 1 p.m.